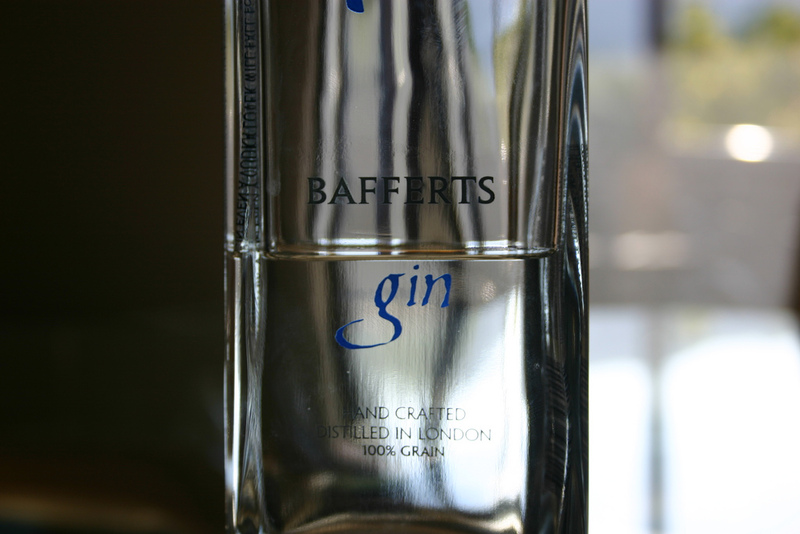 Bafferts was the first unique Gin I added to my collection. I received it as a gift for my 22nd birthday from some close friends. I have consumed nearly none of it in the time since then (almost 7 years). From our review I now see that that is due partly to its lack luster flavor profile. To start it seems quite promising with a pleasant, almost Scotch-esque nose. However, once you start consuming you get unpleasant metallic notes at the outset. No strong flavors shine through, which led one of our tasters to comment that its like you “cut Gin with neutral spirits”. Overall little juniper flavor comes through. Our overall take on this gin is that its not so much a bad Gin as simply not a good Gin. It might be a good choice for someone looking to start a Gin drinking career, but I think there are better starting point. Bombay Sapphire for example. 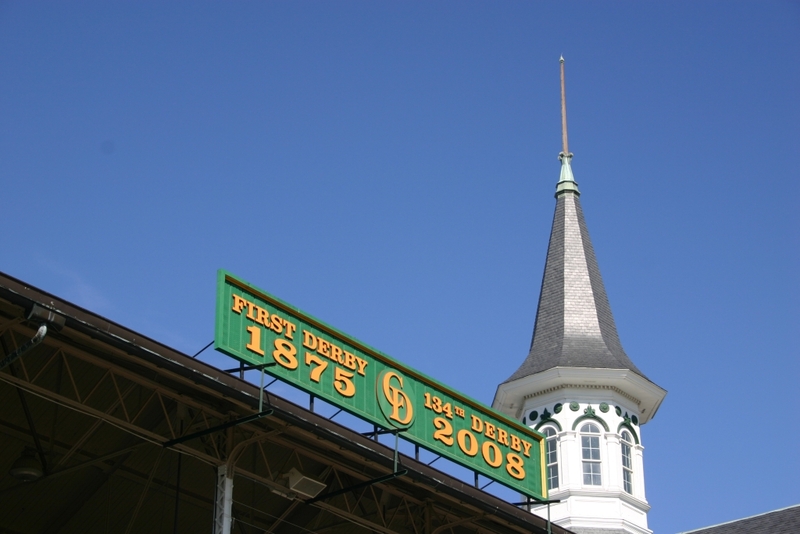 Today Jennifer and I toured Churchill Downs. When we arrived we took a quick walk through the museum then took the standard 30 minute tour that comes with museum admission. The museum itself was a little less interesting than I had anticipated, but the quick tour was nice. Following the quick tour we went on a Behind the Scenes tour of the race course. This tour was fantastic! We were able to see inside the jockey’s quarters, saw both of the Millionaire rooms and even got to check out the track announcers booth and press area. All very interesting. From up there you have a spectacular view of the race track and grounds and can really get a feel for what goes on behind the scenes on race day. Next weekend is the first race of the season for Churchill Downs so today the track was pretty empty, save the few people enjoying some OTB. I can only imagine what the track must be like on Derby Day when our tour guide said they’ll have upwards of 150,000 people in the stands and the infield. In honor of this amazing race, this week we’re going to feature the Brown Derby Cocktail. To begin the investigations we’ll be using the recipe listed on the Splendora website. Why didn’t we go with the Mint Julep, you ask? Because we have grand plans of investigating that particular cocktail during Derby week 2009, so stay tuned. Spent a wonderful day touring Buffalo Trace distillery today with Jennifer. The distillery in Frankfort, KY is nestled along the Kentucky river and is very picturesque. On the tour we visited Warehouse C where they are aging Buffalo Trace, Van Winkle’s and some of their experimental barrels. From there we went to the Benton’s Bottling hall where they bottle their products. After explaining the details of the bottling process our guide took part of the group, ourselves included on a special tour of the rear of the distillery. In the rear of the distillery we saw the grain delivery areas and one of the large Vodka stills. Then we went to the Mash room where they were fermenting batches of upcoming spirits. Next we were taken through their small batch still room where they produce special spirit runs for one off customers. Following that we were introduced to the big daddy still. A column still does the first distillation, then the spirits are further distilled in pot still to produce the final unaged product “White Dog”. We were lucky enough to get to sample a bit of this White Dog and I must say it was very good. You could really taste the corn back notes and despite its high proof it was still quite smooth. The final step in our tour was the tasting room where we sampled the distilleries vodka (Rain), Buffalo Trace’s Bourbon and Eagle Rare, one of my personal favorites. Overall the tour was fantastic. Below are a number of pictures from the day. 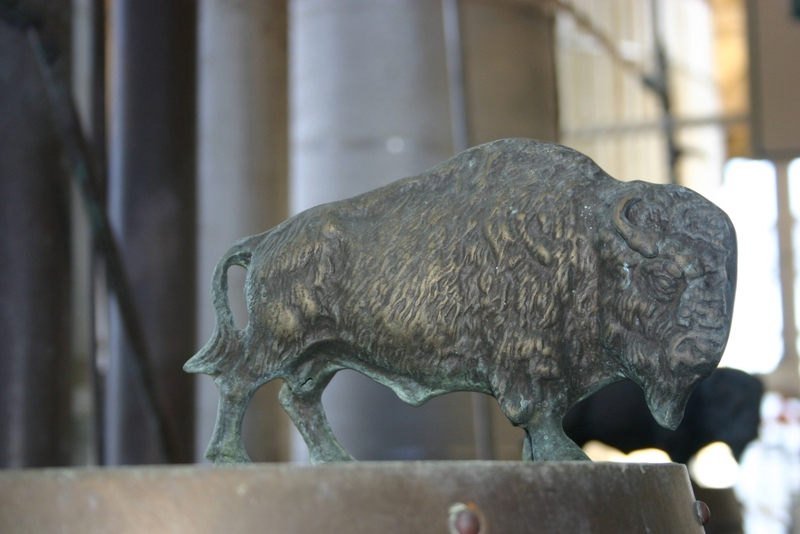 As for the week of Bourbon experimentation, it was a nice refresher on America’s native spirit. This is certainly not the last we’ll speak it. Until then keep trying different Bourbons there are a lot out there and all have something special to offer. Mash Fermenter - 92,000 Gallons! I have to say, I was a bit frightened about this one when I started mixing it up. As the orange started to break down and the cherries turned to red pulp I had visions of nastiness dance through my head. That didn’t turn out to be the case though, at least not entirely. The muddled orange added a bit of extra sweetness and a nice orange flavor which was not objectionable. The cherries on the other hand added nearly nothing except for a slight hint of almond and were not pleasant to encounter when sipping. Overall the drink was fairly pleasant though and although the muddled fruit isn’t strictly traditional I wouldn’t turn one down were I served it. Were I to make these again, which I must admit I’m not likely to, the classic is just a better cocktail, I would omit the cherries and possibly sub in a fresh raspberry or blackberry if they were on hand. I think these would add more flavor and color to finished cocktail. We got our inspiration for this cocktail from this article and the associated YouTube video. My first attempt at infusing the Bourbon I used woefully underflavored bacon drippings and the result was a Bourbon with no bacon flavor at all. Not to be out smarted by bacon I went to the store and picked up a pound of hickory smoked bacon. Seemed like the route to take so home I went and rendered up about a 1/3 of the package. 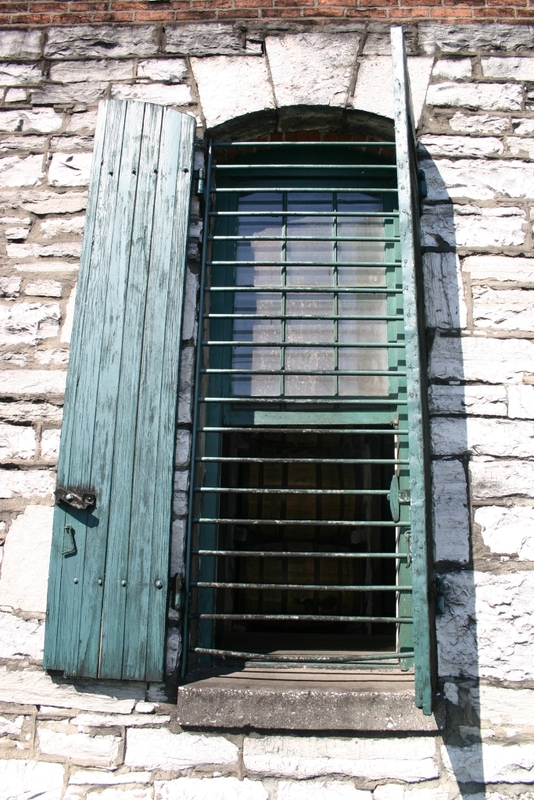 Once rendered the warm drippings were applied to the Bourbon and allowed to steep overnight. I tossed the jar in the freezer in the morning and skimmed off the fat when I got home that night. This time the infusion took, but was still lacking the bacon flavor I was after. Aaron felt the Bacon Bourbon was quite good, but lacked the real smokiness he was looking for. I agree, but I didn’t give this first batch even as much credit as Aaron did, it needs serious work. The lads at PDT use Benton’s Bacon which is heavily smoked and as such has a very deep smoky flavor. I think if we could find a bacon here in CO that matched that level of smokiness that this cocktail would be a completely different animal. After Aaron’s sampling of my Bacon Bourbon he has taken it as a personal mission to recreate the Benton’s Bourbon flavor so I assure you this quest is not yet completed. Also, I finished my Bacon Old Fashioned with a flamed orange twist as you can see in the picture above. Took a fair bit of creative camera work to get that shot and I think it turned out fairly well. You could really taste the carmelized orange oils in the final cocktail which was a great addition to the flavor profile. 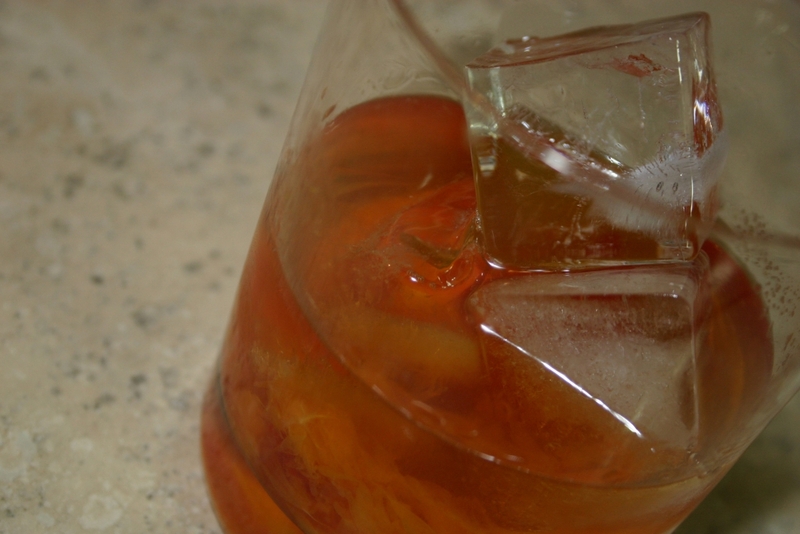 I’d highly suggest giving this a try the next time you make an Old Fashioned. 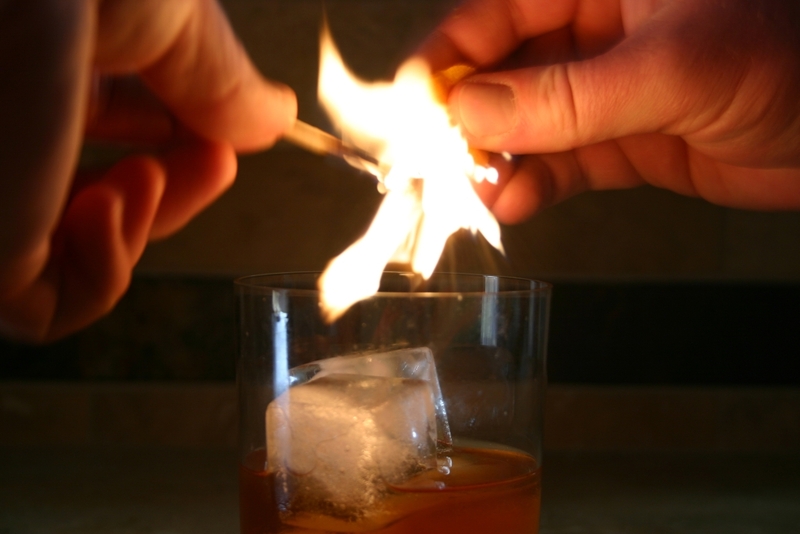 Why do you need to discuss Bourbon, its just another whiskey right? Well, yes, but there’s more to it than that. All Bourbons are whiskies, but not all whiskies are Bourbons. In the same way that to be called Scotch a whisky must meet certain criteria in order to call a product Straight Bourbon Whiskey a distiller must meet certain requirements. Wikipedia summed it up nicely so rather than regurgitate, I’ll just quote them. 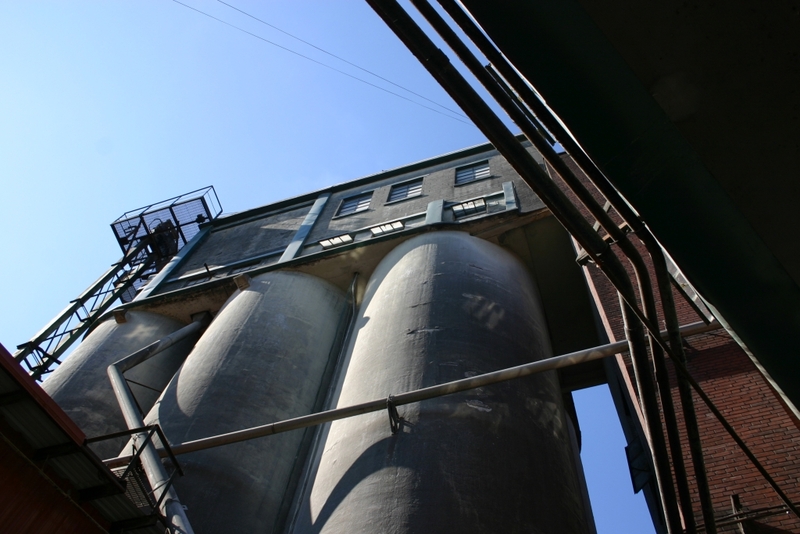 The first step in the Bourbon production process is the selection and processing of grains. As per the rules this grain mixture has to include at least 51% corn. The remainder is then made up of any of the other fermentable cereal grains, e.g. rye, wheat, barley, rice I suppose, etc. The grain mixture is one of the deciding factors in the final flavor of the Bourbon. As an example Bulleit Bourbon uses a high percentage of rye which gives the resulting spirit it’s characteristic spiciness. Since its this specific recipe of grains that makes each Bourbon unique it makes sense that the specifics are tightly guarded secrets. The distiller then takes the selected grains and mills them. Milling the grains maximizes the surface area allowing a more complete starch conversion, the next step in the process. 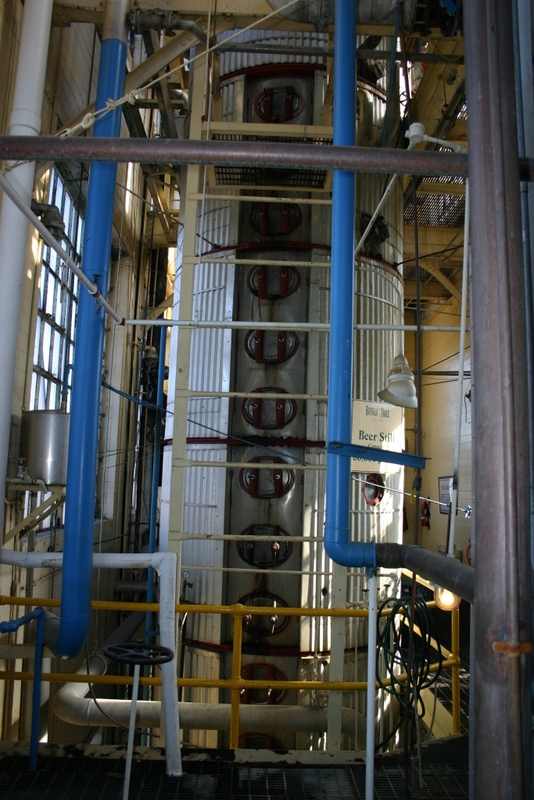 Once the grains have been milled water is added and heat is applied to the mash. The application of heat causes the starches in the grains to break down in to fermentable sugars that can then be consumed by the yeasts. Once the mash has been cooked a small portion of the previous mash is added to the new mash. 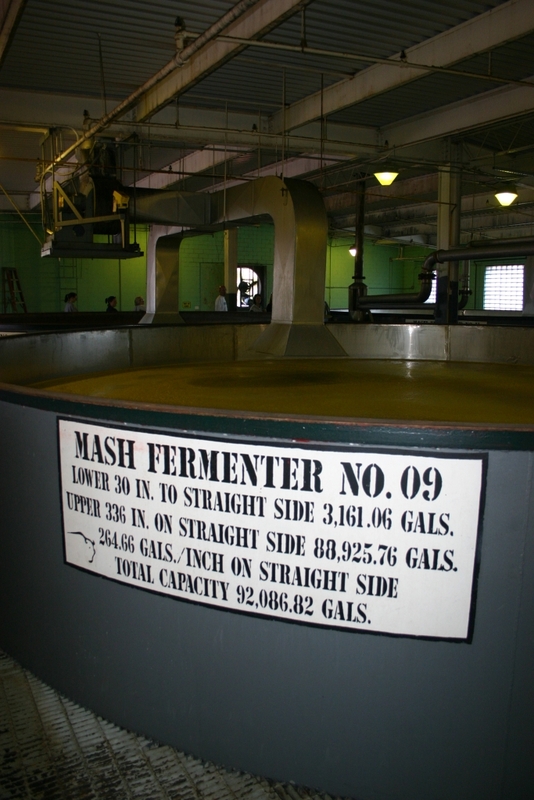 The acid from this “sour mash” slows the growth of bacteria and creates the pH balance that the yeast requires for alcohol production. Which brings us to the fermentation itself. Depending on the chosen yeast this process can take anywhere from days to weeks but the result is the same a low alcohol content wash. 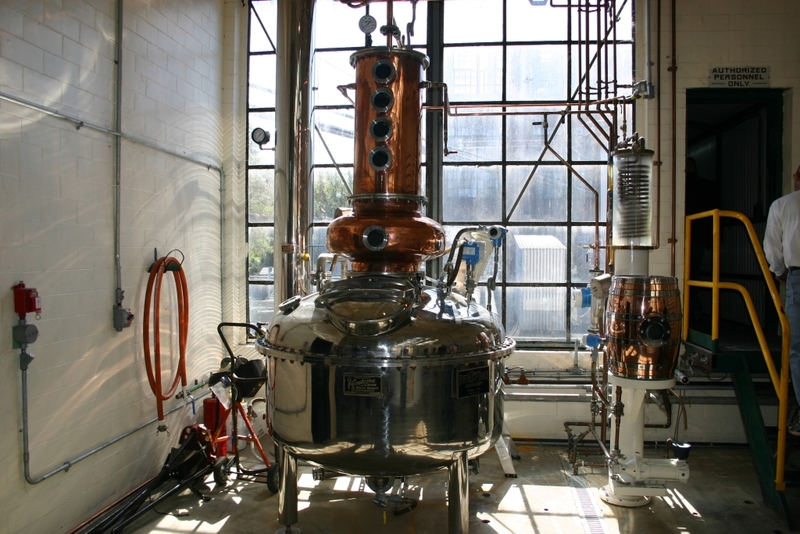 The wash is then transferred to a still where it will undergo distillation into a clear alcohol. When you buy a bottle of Everclear you are buying un-aged whiskey straight from the still. The maximum alcohol percentage that can be obtain through standard distillation is 94%. In order to go higher you have to employ a process called vaccuum distillation which is considerably more complicated, not to mention a story for another post. 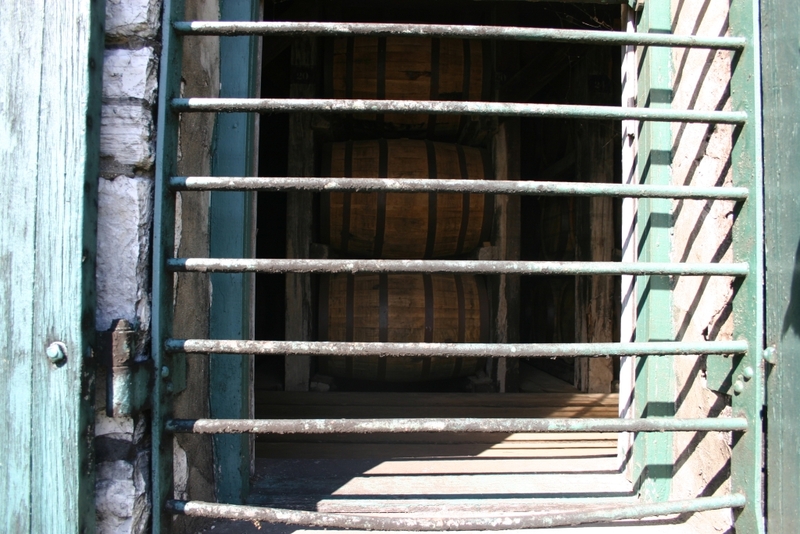 At this point the un-aged Bourbon is transferred to new, charred oak barrels for aging. There are varying degrees of barrel char that can be utilized to produce specific characteristics. Once filled the barrels are moved to a barrel house for aging. 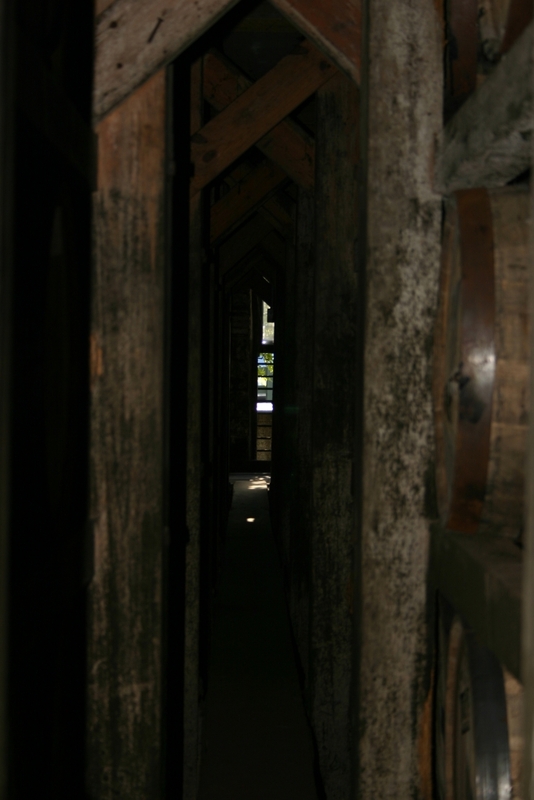 As the temperature varies throughout the year the Bourbon is pulled in to the wood (as temperature increases) and pushed back out (as temperature decreases). This aging produces two distinct results. First the char on the barrel serves to filter the Bourbon to some degree. Second as the alcohol moves in and out of the wood it picks up color and flavor. There are lots of compounds in wood that help to give the Bourbon it’s unique final flavors. Bourbons are aged for a minimum of two years and the sky seems to be the limit. Once aging is complete there are a few more options. 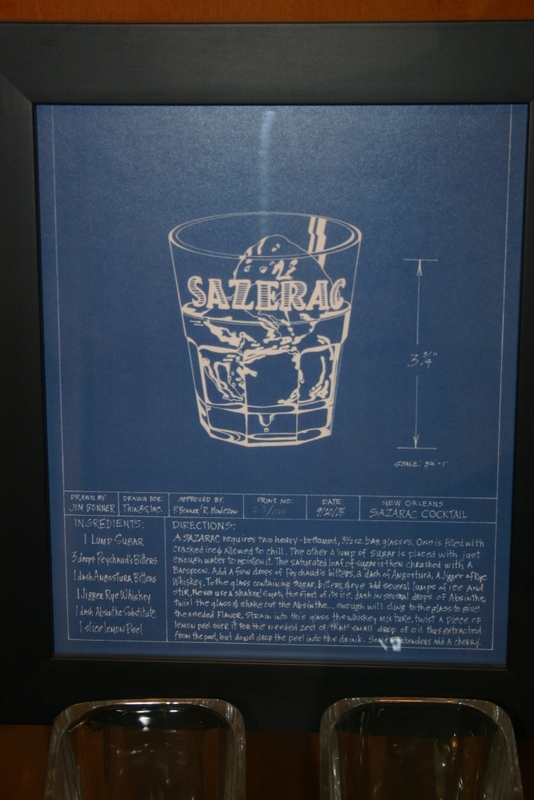 One, the Bourbon can be bottled without dilution at what is called cask strength. Bourbons from the larger distilleries are typically blended to produce a consistent flavor and then diluted to the proof desired. Some distilleries however and choosing to bottle the product un-blended from single barrels. These single barrel Bourbons, such as Eagle Rare, one of my personal faves, will vary in flavor from barrel to barrel slightly depending on the barrel itself and where the barrel was aged. As such, you end up with a product that although similar will never be exactly the same. I like this as it gives cocktails a bit, although not too much, variability. Well I hope this overview has been interesting for you. I’ve glossed over some subjects intentionally (e.g. the specifics of distillation) and I’ll be covering those in more detail later on. Some topics (e.g. barrel chars) I’ve skimmed over due to a lack of knowledge. As I know more about these I’ll be sure to write update posts. I’ll be visiting a couple distilleries this weekend in Kentucky and hope to find out a lot more interesting info and get some good pictures.